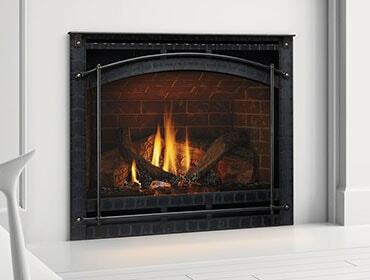 Heatilator has been a leading producer of state-of-the-art fireplace products for nearly 90 years. The brand has transformed the fireplace industry several times by introducing the first factory-built, heat circulating fireplaces, followed by zero clearance fireplaces, allowing for flexible placement and installations that were never possible before. In recent years, key technologies like the IntelliFire™ Ignition System and power venting technology have made Heatilator fireplaces even more efficient, safe, and adaptable to any space. The tradition of innovation and excellence is a time-honored legacy at Heatilator, built upon an unwavering commitment to value and dependability that’s simply unsurpassed in the industry. This is why Heatilator is the preferred brand among builders. So, when considering what fireplace brand is right for your home, look no further than the fireplace brand trusted by builders for decades – Heatilator. Then you’ll want to ask yourself a few simple questions to determine what type of fireplace is right for you.